If you’re buying a new vehicle, we’re sure that you’ve considered keeping it for as long as you can. One way to ensure that you can keep your new car in top-notch condition for years to come is by maintaining it properly. If you’ve recently purchased a new INFINITI, there are several recommendations on how to keep the parts of your INFINITI working properly for the long term, outlined by the Douglas INFINITI Factory Maintenance Schedule in Summit, NJ. 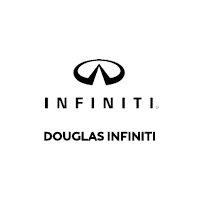 Douglas INFINITI uses INFINITI-exclusive parts that are built to meet the INFINITI Original Equipment Manufacturer specifications. The parts are under a 12-month/12-mile warranty, which means that you’re not going to have to pay to replace INFINITI parts within that time constraint. We can also guarantee that our dealership’s service technicians are trained to diagnose and repair INFINITI-specific issues. So, for all your INFINITI’s maintenance needs, put your trust in Douglas INFINITI. Windshield washer – check operation, delivery and spray pattern (clean and adjust as needed). Fill washer reservoir with washer fluid. Perform upper engine carbon flush and clean injectors.